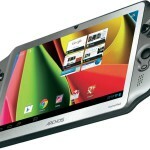 With the GamePad, ARCHOS made one of the first great Android portable console. During our product review on a pre-production model a few weeks ago, we regretted the short battery life. 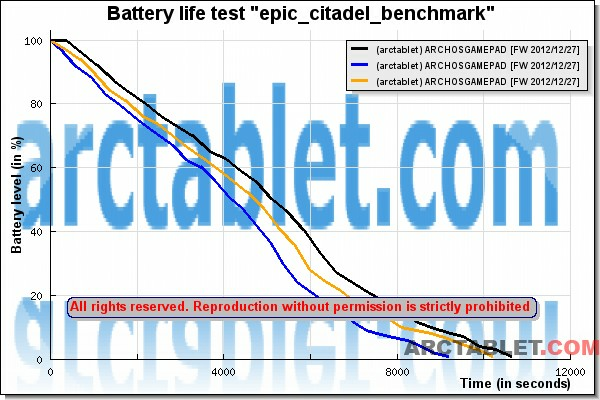 Since then, we have been doing some extra measurements to report the battery performance on a retail version of the GamePad in different usage scenarii. According to hailrazer member in our forum, who did some surgery on his GamePad, the following specs (3.7V, 11.1Wh) are printed on the Lithium Polymer (LiPo) battery. 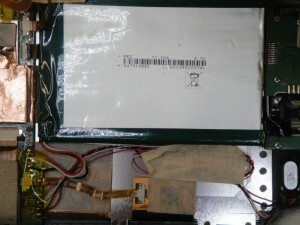 This represents a 3000mAh capacity, but it seems to deliver really less in reality. With the supplied 2A charger, it takes about 2 hours and half to get the tablet battery fully charged. 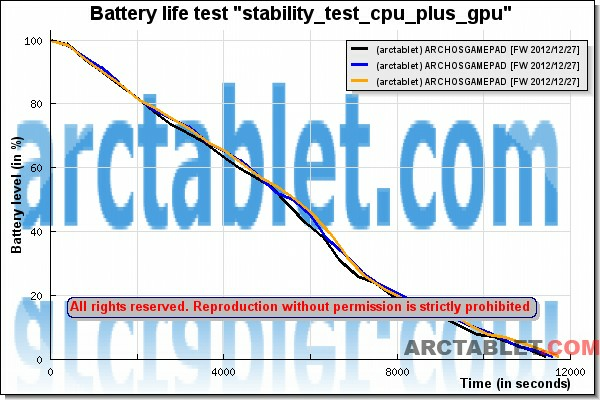 From a fully charged tablet, we let a test scenario loop until the tablet battery gets empty. 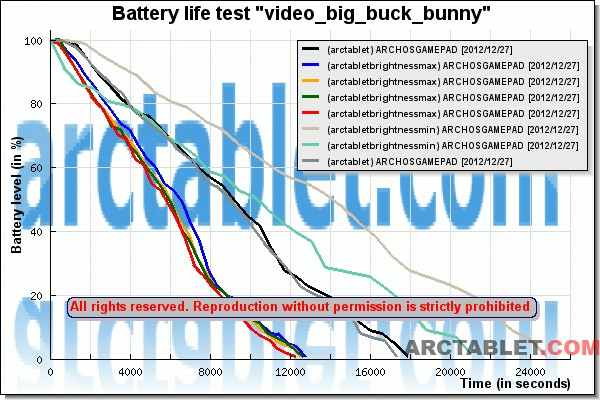 In each test, the battery level is monitored using our ArcTools application. 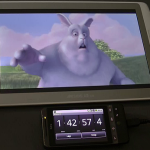 This first test deals with playing this video file big_buck_bunny_720p_AAC.mp4 (Big Buck Bunny 720p, stereo sound in AAC format) in loop until the tablet battery gets empty. 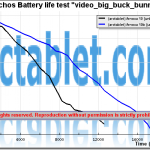 We have done 2 extra tests measuring the battery life with display brightness set at minimum and maximum values. This second test uses StabilityTest application which can be downloaded for free on Google Play Store. It’s a CPU, GPU and memory stress-testing tool that will help us to check the system stability. This last test probably reflects gaming conditions the most, as Epic Citadel“>Epic Citadel application is a real-time demonstration of Unreal 3 graphic engine. 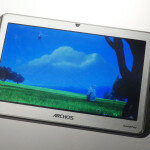 Based on all our measurements, we can see that the ARCHOS GamePad battery life is quite limited for a device that is designed for mobile gaming. With brightness set at the maximum and WiFI enabled, the battery life can easily go under 2 hours. 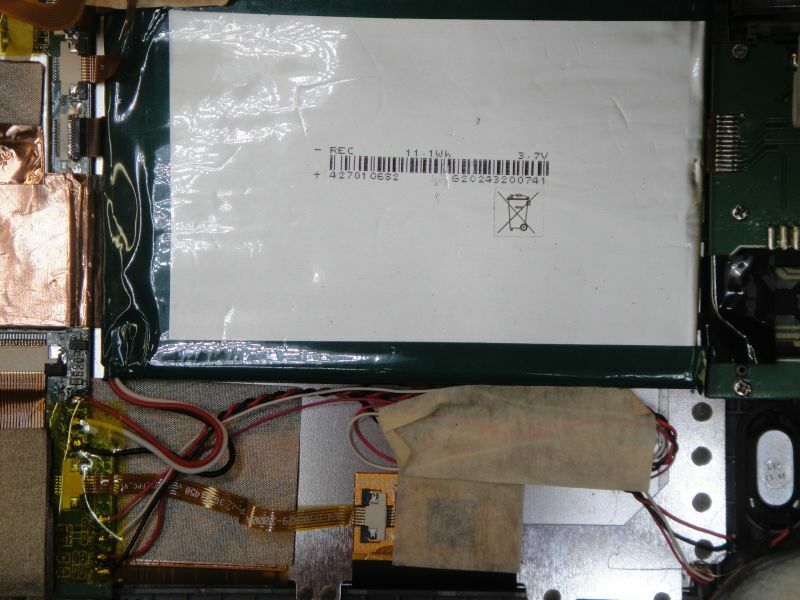 You can check this article by hailrazer member in our forum, who provided a DIY modification to install a battery with a bigger capacity. (warning: this may void the tablet warranty). If you want to help us submitting your own battery life test results, please let us know in the comments section below or in our forum.